Thank you so much for your compassion and humor. I was really out of sorts and you never yelled or told me and was crazy (lol). I know iam! anyway you are awesome!! 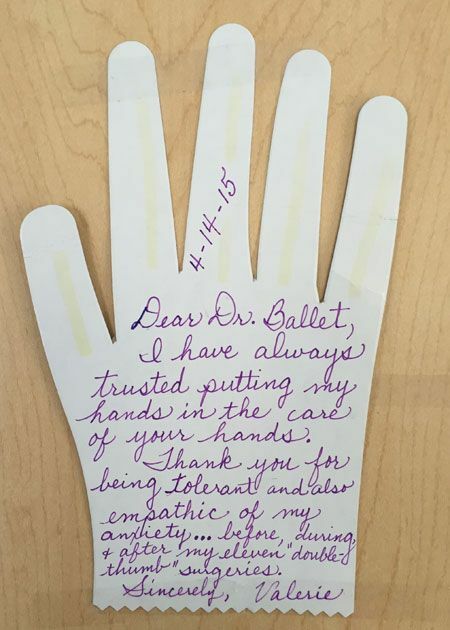 My husband was a patient of Dr. Ballet back in January of this year. We both thought everyone that we dealt with that day were absolutely wonderful. Especially, RN Peter Ringenary, he went above and beyond. Before we left he went over everything thoroughly, made sure we understood everything, answered all of our questions and even walked my husband all the way out to our car. He was fantastic and has such a wonderful personality. A true pleasure. I feel that I was so very well cared for by everyone at The Hand Doctors. I'd like to thank each of my care givers for their caring service. Because of your excellent care my recovery was accelerated. Even though I spaced my last appointment, that was also an indication of your great care, in that I hardly remember being injured. 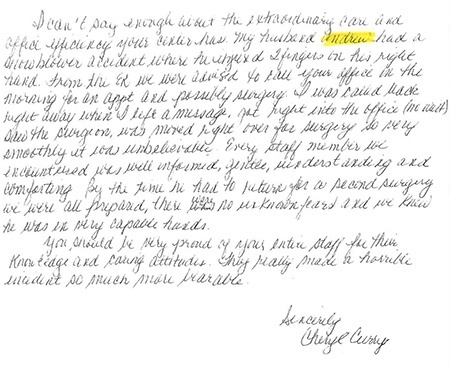 I want to thank Dr. Strauss and the surgical staff for the wonderful care I received during my surgery on May 4. 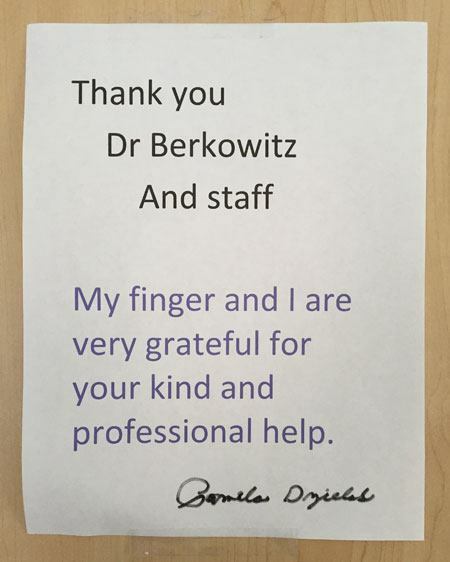 I am currently receiving PT at your offices and I appreciate the care I am receiving from Rae Aaronson as well. All the staff at your facility in Marlton are helpful and responsive to my needs. I am currently waiting in a refund for services that I paid in cash on May 4, my surgery date. I presume that after you receive the payments from my insurance carrier that I will receive the refund for my overpayment. Thanks again. I appreciate it!